The ITV News at Ten had to be aborted after a fire alarm triggered an evacuation. 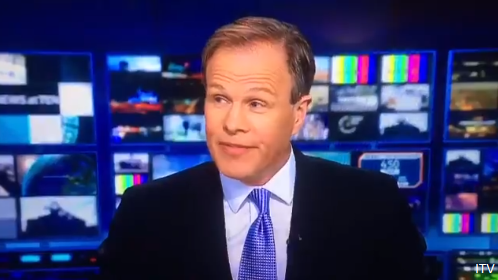 Wednesday's edition of the nightly news programme, presented by Tom Bradby, had to be cut short when he and colleagues behind the scenes were ordered to evacuate the studio. Following a report about Donald Trump, Tom Brady apologised to viewers about the fire alarm, admitting the team "were not quite sure what to do about it" and wrapped up the programme. 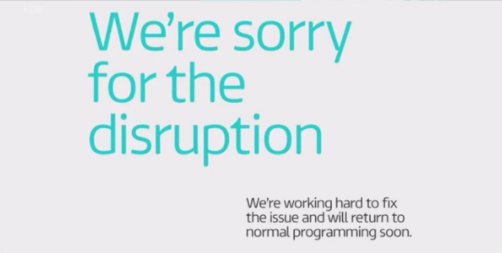 An apology caption was seen until the normal time for the ITV National Weather, by which point ITV confirmed that they wouldn't be able to return to the news. The caption shown in ITV regions. STV had their own breakdown message. Viewers in the London region also missed out on the late edition of London Tonight, which broadcasts from the same studio. ITV News Meridian from the neighbouring TV region covering southern England was shown instead. The ITV News Insider Twitter account confirmed that there was no fire or smoke visible and that all were safely evacuated from the newsroom at the headquarters of ITN. It was later confirmed to have been a false alarm. We are leaving the newsroom now - all safe. Well done to @tombradby and the team for handling the fire alarm going off during @NewsAtTen ... wow. Blimey. Fire alarm disrupts then stops @itvnews at Ten. Calmly handled by @tombradby.